Twenty years from now you will be more disappointed by the things that you didn’t do than by the ones you did do… Explore. Dream. Discover. I think that sentiment is one of Melissa’s primary views of how to live a life. But, even she was a bit reluctant to head out early Saturday morning for a day trip to Pungo. We have both had full schedules at work these past few months with no let up in sight. We had planned this trip as a weekend get-away to meet our friend, Petra, and a couple from the Netherlands that had been clients a few years ago. Plans changed, and we decided not to camp and just do a day trip. We left about 7 a.m., arriving a little after 10 a.m., and found our friends alongside the road after having seen one large bear out in a field. But, they anticipated more now that the ‘bear whisperers” were here (no pressure there). 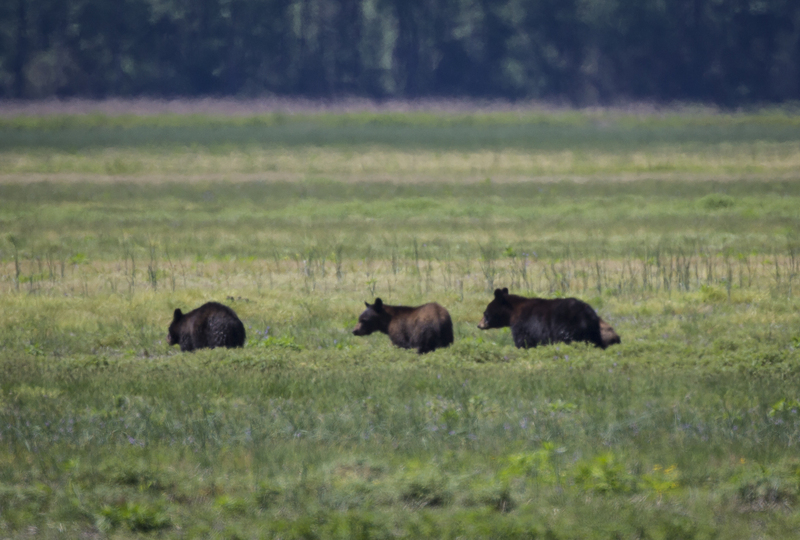 So, off we went, and, luckily, there they were – a family of four bears just down the road. It turned out to be a rather slow day at Pungo, but we had a great time in absolutely beautiful weather – walking, talking, laughing with friends, discussing the state of the world from another country’s perspective, and getting glimpses of nature. 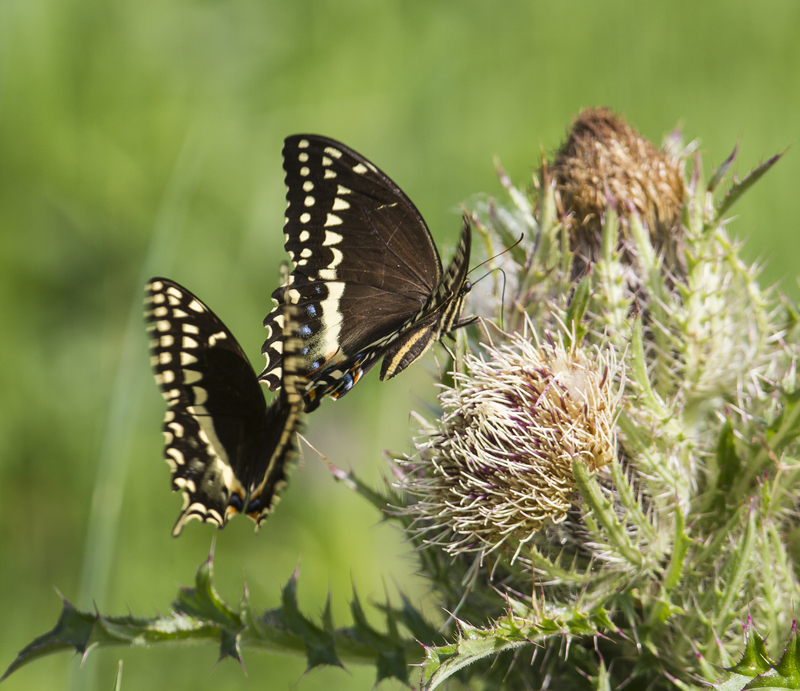 Butterflies were very active, especially the palamedes swallowtails and zebra swallowtails. We even had two monarchs nectaring on small wildflowers along Bear Road. Birds were abundant as well – a pair of adult bald eagles, wild turkeys, a green heron, and lots of warblers (prairie, black-throated blue, black and white, prothonotary). But the day belonged to the bears, 14 in all. The last one was the closest, just across a roadside canal, low in the brush, nibbling on various leaves. It was a glorious day that ended with a wonderful dinner in Belhaven, and a late night return for us. But it was all worth it – seeing our Dutch friends, being outside on a beautiful day, watching those bears – and I’m glad we did it. Next…. 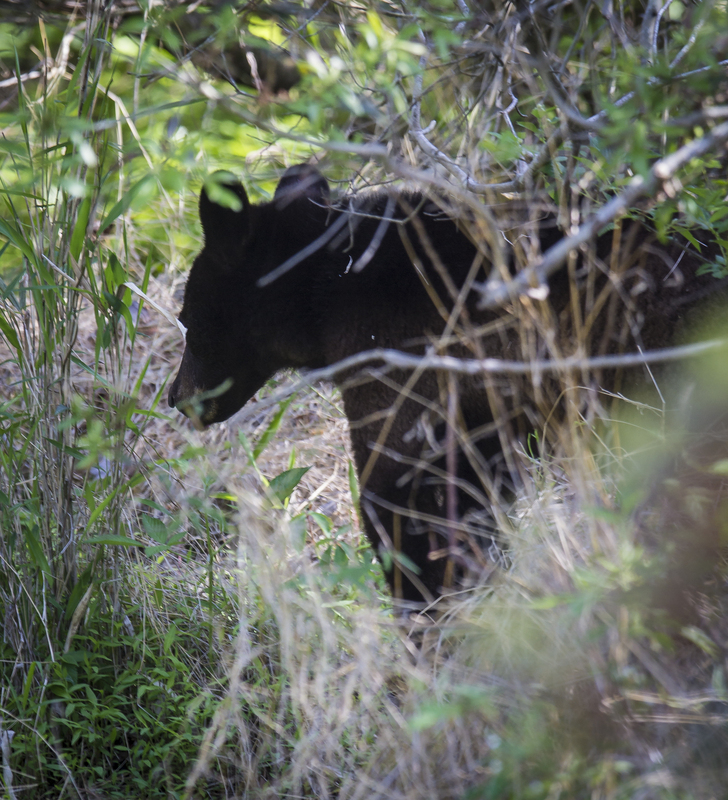 This entry was posted in Natural History, Trip report and tagged black bear, butterflies, pocosin lakes national wildlife refuge, pungo by roadsendnaturalist. Bookmark the permalink. Thanks, Ko. Let us know when you are back this way. And we will be in touch with some tips on Yellowstone! Thanks for driving up for the day! Sooo…that is where all the Minnesota bears are. My Dutch hubby has never seen one and I was hoping last week we would finally see one when we were in MN. Not even any sign of one. I always see them when he isn’t with me! Wonderful pictures as usual. Have a great Spring. Thanks. If you are ever this way, I know where they are! 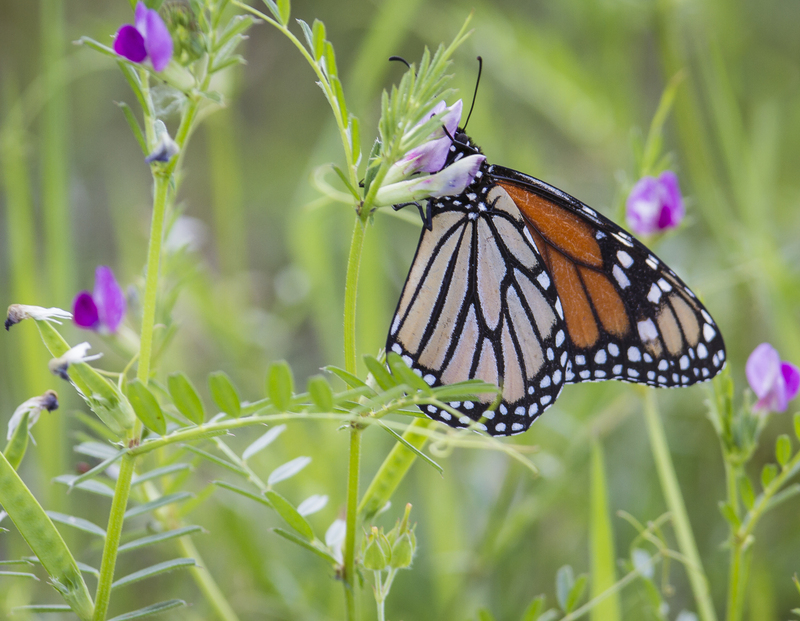 Monarch butterflies are so common here that there is a neighborhood known as ‘Monarch Grove’. They swarm the blue gum and red gum eucalypti when they migrate. 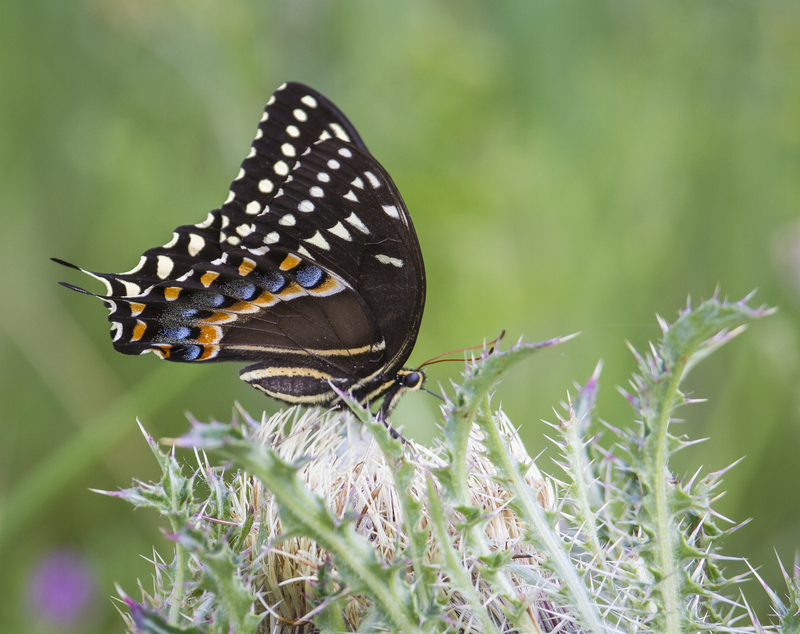 However, the swallowtails are quite rare. I have not seen one in a very long time.